There’s no doubt that social media has been on the upswing these days. Social media enables millions worldwide to connect with each other and share their lives with one another. Following closely along with the trend towards tech-oriented media and networking, are many efforts in the cancer community to raise awareness (and funds) in the quest for a cancer-free world. Breast Cancer organizations such as the Breast Cancer Fund are able to tap into the social media scene to get people directly involved in their efforts, generating funding for mammograms for women. Many other cancer organizations are using similar methods to generate awareness, build support communities, and promote fund raising and special events. Sites such as Facebook provide an interactive playground for the cancer community who can “like” various organizations and stories, follow updates and chat with others in the community. Twitter can be also be an invaluable tool for many organizations to quickly and easily keep supporters informed on up-to-date information and events and get the word spread quickly via “retweets” by others who are following the organization. Susan G. Komen For the Cure Foundation used both of these resources as part of a social media campaign for their website, 69-seconds.org, which launched at the beginning of this month for breast cancer awareness month. The site encourages social media activists, once logged in, to upload photos, petition the UN to make cancer part of their millennium goals, and take a quiz on breast health awareness. On a more user-base level, individuals are empowered through social media now more than ever. A few months back, Facebook statuses were covered in color in participation of a meme in which women updated their status with their bra color. 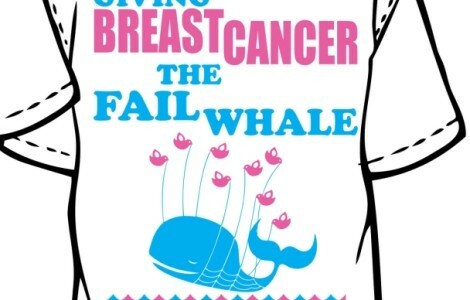 Though the source of this stunt was never revealed (as is the case with most good internet memes these days), it was speculated by many that the trend was started as just a fun way to raise awareness of breast cancer. YouTube is another social media avenue being embraced in efforts to spread the good word about breast cancer awareness. Last November, a video called “Pink Glove Dance” was created with more than 200 hospital employees of Providence St. Vincent Medical Center in Portland, Oregon, dancing to the tune of “Down” by Jay Sean as a fun way to spread awareness of breast cancer. They were a YouTube success, with an astounding over 11.5 million views to date. Using these mediums as a way to gain international attention and get people involved in the movement towards breast cancer awareness has been very rewarding for many breast cancer organizations and the cancer community in general. People are joining forces from all over the globe in support of one another and for the overall goal of generating awareness. As an added bonus for breast cancer organizations in particular, the fact that social networking reaches an overall younger audience is greatly beneficial to getting the message out there to the right people at the right time. By encouraging early detection of breast cancer among the younger generation, those who may have the best chances of detecting breast cancer early on are now given a better chance at survival.